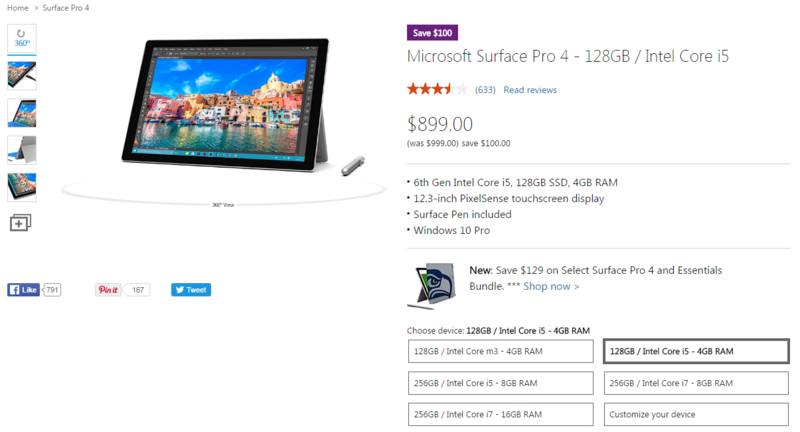 Microsoft Gives a Discount on Core i5 Version of Surface Pro 4 – Refresh Model Incoming? 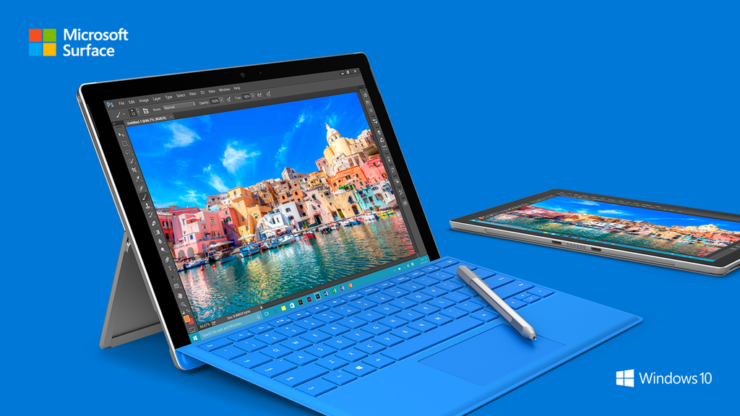 Microsoft continues to offer discounts on its Surface Pro 4 slate. However, during the month of October, the company could be giving us a surprise that we least expect during its October 26 event. What exactly could the company be announcing? 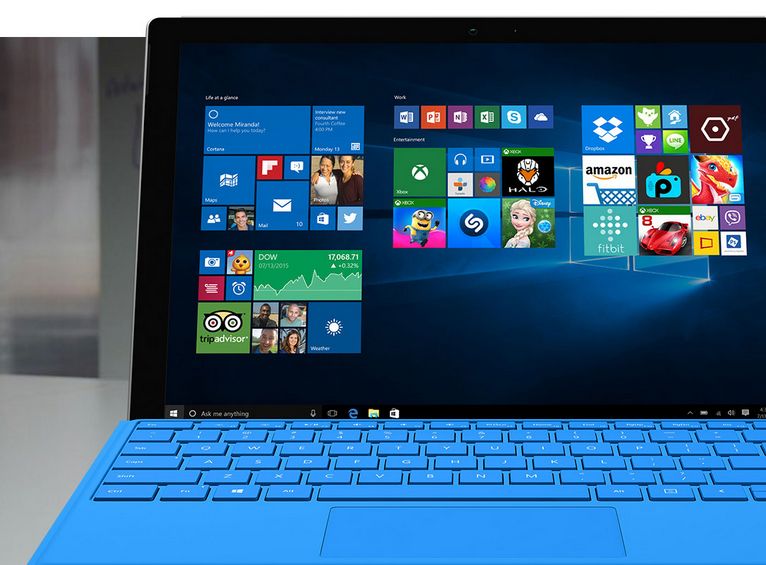 Perhaps a Surface Pro 4 refresh? Microsoft has not stated when the discount is going to expire but if you want a model that exhibits slightly more power than Intel’s Core m3 chip, then the Core i5 model is being offered at the same price tag as the base model, standing in at $899. The only thing changed here is the upgraded processor; you’ll still get the same amount of RAM and flash storage, 4GB and 128GB respectively. Keep in mind that base model of the Windows 10 powered 2-in-1 comes armed with an Intel Core m3 Skylake processor and while you could say that the CPU is underpowered, I’d also like to point out that the magic of software also plays an integral part in the performance of the machine. Keep in mind that the 2016 12-inch MacBook also comes with a Core m3 processor variant, and in a 4K video editing test, and it was able to pass that test with flying colors. It is possible that we get an upgraded Surface Pro 4 during Microsoft’s October 26 event, which could comprise up of Intel’s Kaby Lake series of processors, and possibly a better keyboard accessory; one that does not require a kickstand to support the 2-in-1. The 12.3-inch real estate is more than enough for a Windows 10 slate that also doubles as a laptop substitute should you decide to purchase the keyboard accessory. One thing that I personally do not like about the accessory is that it features a kickstand. Had Microsoft adopted the magnetic keyboard accessory approach like Google did with its Pixel C, I’d be more into the purchase of a Surface Pro 4. Irrespective of my opinion, what do you think of the latest discounted offer from Microsoft? If you’re interested you can always head down to the US Microsoft Store, and place your order.